London, 3 November. 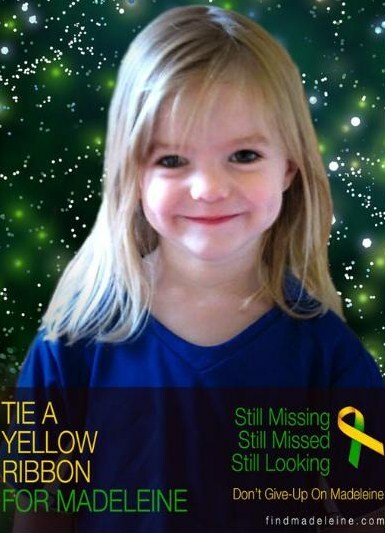 The UK’s national law enforcement centre for protecting children – the Child Exploitation and Online Protection (CEOP) Centre – has today issued an online viral message (http://www.youtube.com/watch?v=_yUZBHHYhmQ) aimed at anyone close to the person who was involved in the disappearance of Madeleine McCann. The person we are looking to reach is likely to be a partner, family member, friend or colleague of the person or people who were involved in Madeleine’s disappearance. It is also highly probable that they, or someone close to them, is using the internet to search for any updates that may suggest the police are getting closer to discovering the truth. “Today we want to deliver a message to that person and we’re asking everyone who goes online to help us. We want the message to become so widespread that it becomes just one click from any Madeleine search as a constant reminder to that person that it is never too late to do the right thing – that it is never too late for that person to redeem themselves. The message is available at ceop.police.uk and is in seven different languages – English, Arabic, French, German, Italian, Portuguese and Spanish.